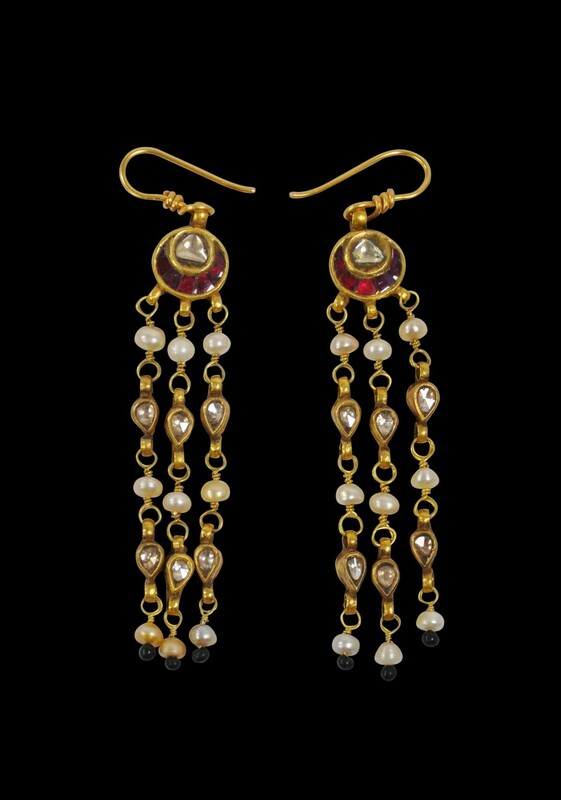 This fine pair of gold earrings comprises a thick, central gold disk set with a diamond around which seven rubies are set, tile-like, and in crescent formation, in a ‘sun and moon’ array. 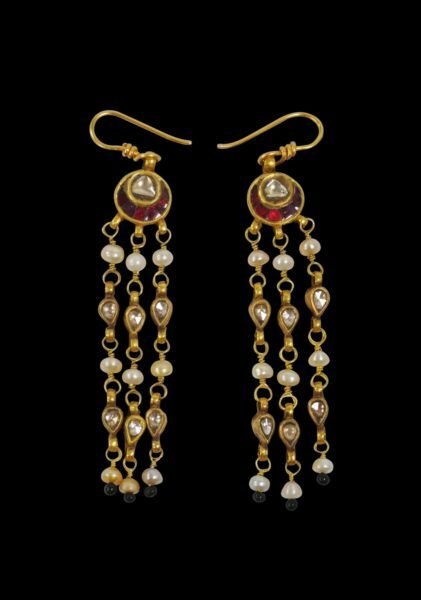 Three pendant dangling strands are suspended from each, and these comprise gold wire looks each with three pearls between which are two tear-shaped, foil backed diamonds in gold kundun settings. Each strands terminates with what are likely tiny emerald beads. 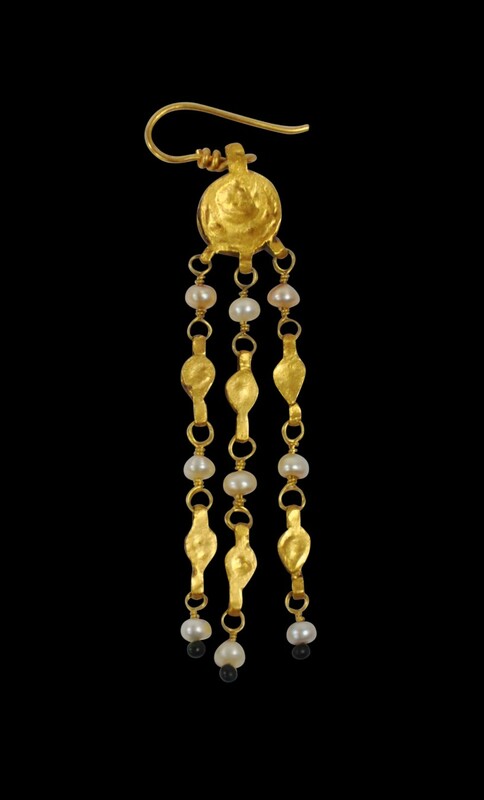 In total, the earrings comprise 18 pearls, 14 rubies and 14 diamonds. Each is fitted with a gold fish-hook loop for insertion through the lobe. The earrings are stable, very wearable, and very pleasing when worn.